The report presents an analysis about the world’s largest acquisition in telecom industry. The initial part of the report presents a brief overview of Mannesmann and Vodafone Group. This part of report discusses wide operations of both enterprises and how the hostile takeover bid reports the most successful acquisition by Vodafone Group. The emerging telecommunication developments in late 90s increase the competition in telecom industry and restrict them to achieve competitive market share in European Continent. Vodafone Group approached Mannesmann to acquire their operations at the exchange of Vodafone shares and offers a stake of 49.5% in their new business. Mannesmann Group was valued at a price of approximately $180 billion in the transaction (London Business School, 2009). The second part of the report discusses the objectives of acquisition. It has widely been bifurcated into company’s strategic objective of achieving economies of scales, enhancement of technological advances and customer base across European Continent. Prior to the acquisition, both the companies had spent an approximate $1 billion on advertising, so the main purpose of the organizations was to freeze the price battle and align their objectives towards a single corporate goal (Hopner and Jackson, 2006). The third part of the report focuses on the profitability and valuation statics. The analysis considers both the financial and non-financial perspectives of the Vodafone Group and compares the preceding results with post-acquisition results. Further, this part of the report also focuses on the market reaction of the merger announcement. The merger announcement focuses on the reaction of shareholders, employees and current & proposed investors. At the end, the report provides a conclusion about the overall analysis and determines whether or not the acquisition increases the value of shareholders. Mannesmann was a German conglomerate which was incorporated in 1890. Initially, the company was specialized in the manufacturing of steel pipes but later on the company enhanced its operations in automotive, electrical, mechanical and telecommunication industries. In 1990, German telecommunication market was moving towards an emerging trend so Mannesmann considered to invest and incorporated Germany’s first private ownership cellular network. Mannesmann gave strong competition to its rival Deutsche Telecom by providing integrated telecommunication services in Austria, UK and Italy. Mannesmann Group achieved tremendous success which tends the company to record an annual sale of €23.27 billion with a workforce of 130,900 employees across the globe. Further, the company had also strong market share in European Continent and was competing against one of the biggest British telecom company Vodafone Group plc (Hopner and Jackson, 2006). 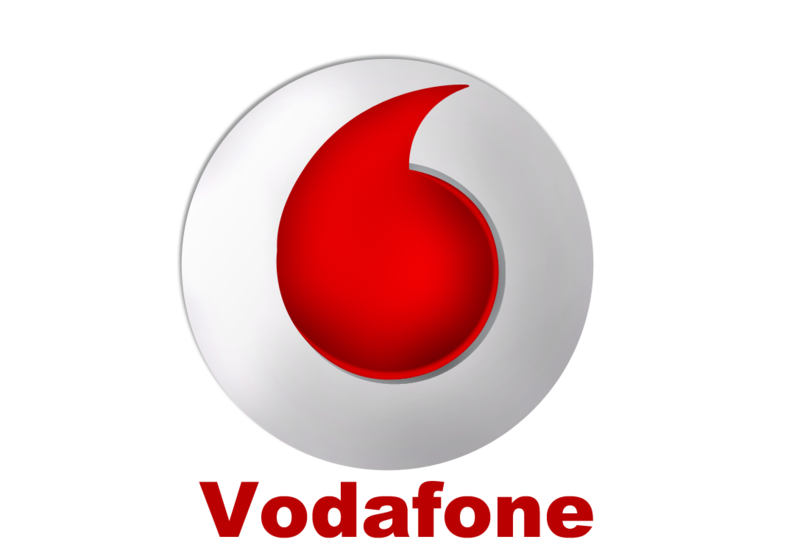 Vodafone is a British telecommunication company that operates in more than 26 countries and provides IT services to its corporate clients across 150 countries. The company is listed in London stock exchange and has a market capitalization of €89.1 billion in 2012. The company started its journey as a subsidiary of Racal Electronics in 1988 but later on the shareholding was demerged in 1991. The company achieved tremendous success through mergers and acquisition. In 1996, Vodafone acquired Talkland and Peoples Phone for €30.6 million and €77 million respectively (Vodafone Group Plc, 2013). In 1999, the company aligns its operations with one of the biggest giant in USA called AirTouch Communication plc. Following the merger with AirTouch, Vodafone was now considering to enter into European Continent so they offered Mannesmann to enter into a hostile takeover bid. Vodafone enters into an agreement of 49.5% stake in new business to Mannesmann Group at a price of approximately $180 billion (Vodafone Group Plc, 2013). The acquisition was susceptible to enhance the customer base in European market and to enhance the value for shareholders. The main purpose of the acquisition was to reduce the cost of operations by achieving economies of scale. Prior to the acquisition, it had been claimed that both the giants had spent a combined cost of $1 billion on advertising during the battle (Hopner and Jackson, 2006). The deal was expected to reduce this cost as both the companies will be working under the same umbrella. Further, it was also expected that the merger of both the organizations will tend them to achieve synergies and facilitate them to work in an efficient and effective manner. Vodafone was also considering to achieve technological advances as Mannesmann Group was specialized in providing integrated telecom services. The proposed deal will tend Mannesmann Group to share their technological advances with Vodafone Group and helps them to provide advanced technological services to their customers (Hopner and Jackson, 2006). Vodafone had a low market standing in Europe continent and the proposed deal would help the company to achieve a considerable market share in Europe and eliminate the risk of rivalry. Fixed cost represents substantial portion of the total cost in telecom industry, so it’s very important that the organization shall focus on enhancing its customer base. The proposed deal of Vodafone will help them to retain or increase their customer base in Europe continent. The acquisition of Mannesmann Group benefited Vodafone and tends them to report an increase in turnover by 15%. In telecom industries, fixed cost represents substantial portion of the total cost, so the acquisition strategy benefited the company to increase its customer base. The turnover of the company increases from £3,554 million to £4,102 million in 2001 but the company failed to maintain EBITDA and it reduces from £1,457 million to £1,421 million. The company reported high operating cost because the company suffered increased blended cost to connect their customers which reduces the EBITDA margin from 41% to 35% in 2001. As a result of this blended cost, the EBITDA margin of the company had been reduced by 30% in first six month which was later recovered to a total EBITDA margin of 35% for a whole year (Vodafone Group Plc, 2001). The company also started focusing on 2.5G and 3G environment as it was the new trend in internet and was also capable of attracting customers. Germany was one of the key market in Europe so the company was focusing of economic models in order to increase the size of customers even at the cost of loss of market share (Huvard, Salcedo, Tuppince, Wentz and Zolad, 2006). In Appendix 1, the operational highlights of Vodafone Germany shows tremendous results as registered telecom customers has been increased from 11 million to 20.8 million in 2001 which shows a growth of 89% over the year. Further, blended registered contract and repay had been reduced from €559 to €378 over the year whereas the active blended contract and repay represents €430 in 2001. Further, Vodafone also benefited from the technological advance of Mannesmann and started focusing on other value added services which tend the company to report a turnover of 13.1% and 0.3% from messaging and data services respectively. OPI is one of the biggest telecom network in Italy which operates under the brand name of Omitel Vodafone and had a market share of 35% in 31st March 2001. In accordance with Appendix 2, the turnover of the company had been increased from £1,960 million to £2,323 million in 2001which represents an increment of 19% over the year. The EBITDA margin of the company had also been increased from £818 million to £1,048 million which represents a growth of 28% over the year. The company succeeds to report high EBITDA because the company was successful in lowering its cost because of high economies of scale. It also strengthens the EBITDA margin and tends the company to report an increase in margin from 42% to 45% in 2001 (Vodafone Group Plc, 2001). Along with financial highlights, operational results also show some impressive results. The customer base of registered customers had been increased from 8.533 million to 11.937 million in 2001 which represents an increment of 40% over the year. The registered blended contract and prepay had been reduced from £380 to £338 and active blended contract and repay represents a figure of £364 (Vodafone Group Plc, 2001). The global focus of Vodafone Group was to exert strong influence on the messaging and data service strategies because they strongly believes that it will help them to attract and retain their customers in future. The parent company of OPI-Italy requires them to focus on non-voice services which achieves tremendous success and tends them to report a turnover of 6% and 0.2% from its messaging and data services respectively (Vodafone Group Plc, 2001). In accordance with Appendix 3, the acquisition of Mannesmann increases the turnover of the group from £2,549 million to £3,318 million which represents a growth of 30% over the year. Further, EBITDA of the group also shows tremendous increment and had been increased from £631 million to £1,065 million and represents a growth of 69% over single year. Further, the acquisition also benefited the company to achieve synergies and tends the company to reduce its operational cost. Increase in turnover and reduction in operational cost ultimately assisted the company in increasing its EBITDA margin from 25% to 32% in 2001 (Vodafone Group Plc, 2001). The company also reported an increase in registered customers by 85%. The customer base of other countries in European continent had been increased from 9.092 million to 16.857 million customers which will benefit the company to report highest sale in future. The basic Earnings per Share (EPS) of Vodafone before goodwill and exceptional items had been reduced by 20% from 4.71p to 3.75p. The company reports a reduction in EPS because of the dilution that arises due to the issue of share for acquiring the control in Mannesmann. Practically, it has been observed that if the company succeeds in investing worthwhile opportunities then the company will touch the pre-acquisition share price within short tenure (Vodafone Group Plc, 2001). The primary goals of the commercial organizations are to enhance the value of shareholders. In order to achieve this, the organization shall execute their operations in a transparent manner and shall take their decisions which are in the favor of shareholders (Franks, Julian and Mayer, 1995). Since the incorporation of Vodafone Group, the company had achieved tremendous success through acquisitions and mergers across the globe. Vodafone started its journey as a subsidiary of Racal Electronics in 1988. Later on, the alignment was demerged with Racal Electronics and in mid-1999, Vodafone align its operations with the biggest USA giant AirTouch Communications. Following the merger of AirTouch Communication, Vodafone wants to align its operations with Mannesmann but the shareholders of the company were more concerned because the proposed alignment was not similar to previous transactions. Though the shareholders of Vodafone Group had previous experience in acquisitions and mergers but the merger announcement with Mannesmann increases the concern of current and proposed shareholders due to the involvement of huge financial resources (Franks, Julian and Mayer, 1995). Initially, the Vodafone AirTouch offered 53.7shares for each Mannesmann share, the bid was based on the closing share price of Vodafone on 18 November of €2.85 but the management of Mannesmann refused to accept the offer believing that they have overvalued their share. The offer values Mannesmann Group at €124 billion (€78 billion), one of the highest bid in history (Huvard, Salcedo, Tuppince, Wentz and Zolad, 2006).The bid increases the concern of shareholders due to the involvement of high financial resources and due to the distress whether the company had sufficient enough capabilities to manage the change. As long as the takeover bid had been announced in public, the union representatives of IG Metalwork and employees of Mannesmann Group rejected the offer believing the fact that there would be a downsizing in organization which would tend them to sacrifice their jobs (Jackson, Gegory, 2000). Further, it had also been believed that the hostile takeover will damage the corporate culture of the organization and would undermine the value of shareholders (H Boemer, 2000). Further, employees concern had also been increased because both the organizations were in direct competition in the past and it would be practically difficult for both the organizations to work under the same umbrella. Further, the shareholders were also concerned about the alignment of workforce of both the organizations. It had previously been justified that the companies report failed acquisition not because the transaction was economically correct but because the organizations failed to align their human resources (Jackson, Gegory, 2000). Mannesmann already had a possession in European market over which Vodafone had no control so it was particularly necessary for Vodafone to adopt new leadership opportunities which justifies a successful acquisition. The main motive of the investors is to increase their value either from dividend or through capital gain. In 2000, Vodafone Group had provided a dividend of 1.335p, so the current shareholders were concerned whether the new acquisition will tend the company to maintain or increase the future dividend income. Further, as long as the takeover bid had been announced in the market, Vodafone reported an increase in share price by 7.4% (The Economic Times, 2006). The increase in share price suggested that the shareholders were confident that the future deal will prove as a successful transaction for Vodafone Group. The merger was reported as one of the successful transaction in telecom industry as it benefited both the organizations. It made a great progress in both financial perspective and customer growth. The customer base of Vodafone Group increased by 73% and it closes at over 49.6 million customers at 31st March 2001. Operating profit, EBITDA and turnover of European region had been increased by 14%, 22% and 21% respectively. D2 Vodafone Germany had a registered customer base of 20.8 million in 2001 which had been increased by 89% over the last year. Further, OPI also remained a market leader in Italy with a registered customer base of 11.9 million which reports a growth of 40% over the previous year. Further, telecom customers in rest of the European Continent also showed a growth of 85% over the last year and report a customer base of 16.857 million in 2001. Both the firms tremendously reduced the cost of advertising and were successful in conducting their operations in an efficient and effective manner. Companies also achieved economies of scale which reduces the operational cost and tends the companies to report substantial profits. Further, the transaction also restricts them to share technological advances which tends them to provide advanced services to their customers.